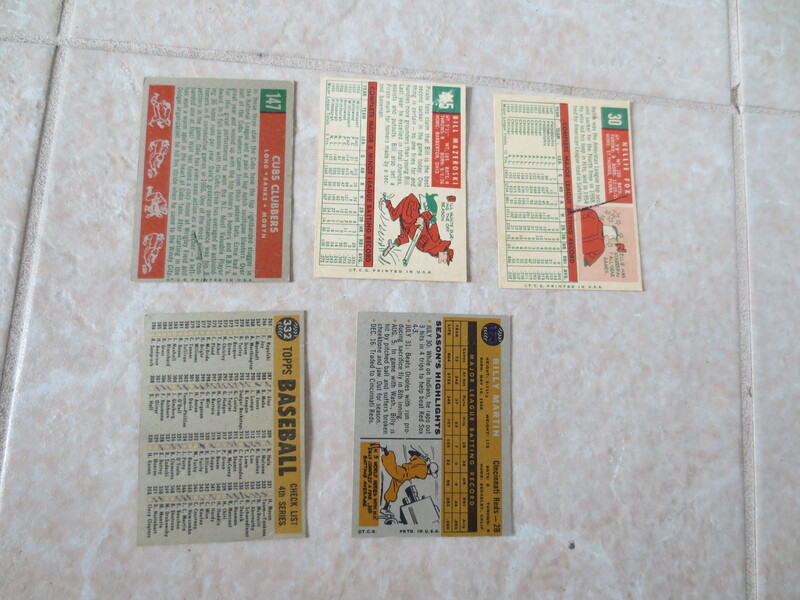 What we have here are five 1959 and 1960 Topps baseball cards that are of Hall of Famers. At first glance they look pretty nice but all have pencil on the back (see photos). 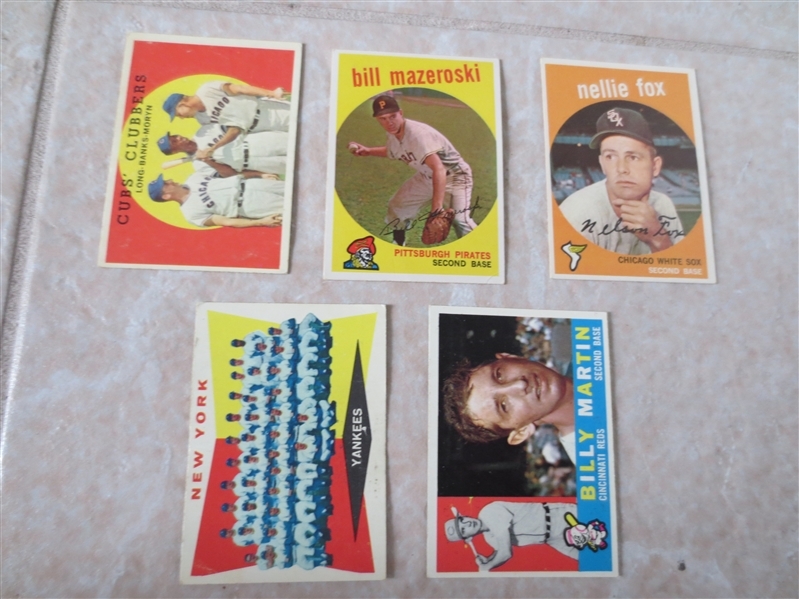 There is an Ernie Banks, Nellie Fox, Bill Mazeroski, Yankees team and Billy Martin.